Get $5 selected drinks. 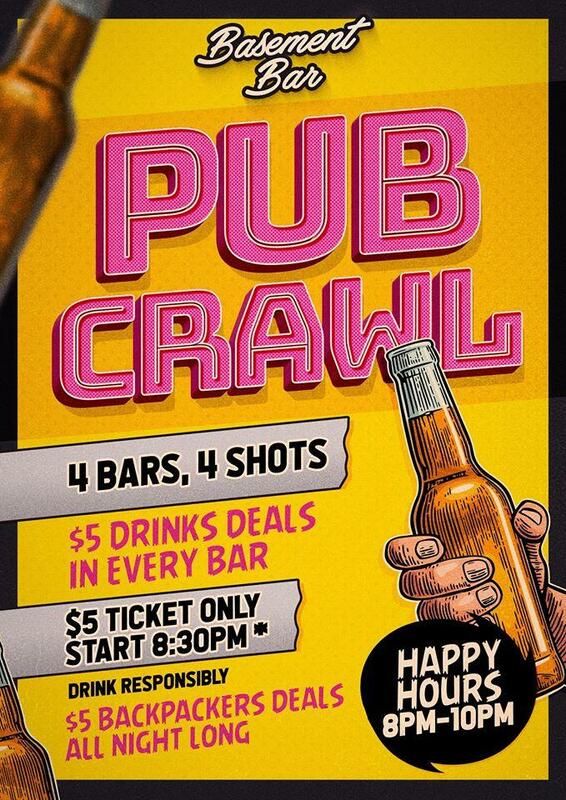 You will come back with many great stories of Wellington's best pub crawl! Join with them for Wellington's best night out!